In discussing various RPG fights, I've realised that I've not actually put forth many options on how to many fights interesting or manage difficulty. As such, I thought I'd discuss an idea I'd previously had for a particular boss encounter. 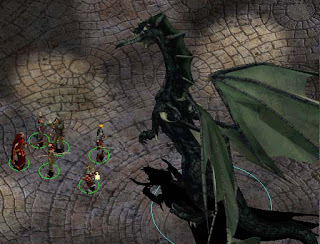 This particular encounter was created with a high-level Neverwinter Nights 2 module in mind, so may not directly translate to other rule systems, but there are still merits to discussing it as a case study. Plus this way I don't spell out any encounters from The Shattered War in full! If you're not interested in encounter design I'd probably suggest you skip this post. I get down into the weeds a bit discussing various mechanics and impact of various effects on the encounter, and this post is a massive wall of text. DPS: Damage Per Second. How quickly enemies/players do damage. HP: Hit Points. How much damage enemies/players can take before dying. CC: Crowd Control. Killing or incapacitating large groups of enemies. Tank: Player who able to absorb or avoid enemy attacks, and is the target of most (if not all) attacks from an enemy. Kite: To run around with monsters in tow, preventing them from hitting the kiting player or any other player. Adds: Enemies additional to the main boss. The particular encounter was set in a catacomb of six rooms arranged in a linear fashion. The player encountered the boss in the very first room, and could initiate the fight. However, at the start of the encounter, the room would fill with adds, making it difficult to reach the boss. These adds had moderate DPS and HP, and served as a shield to prevent the melee DPS warriors reaching the boss. The boss would launch ranged attacks at the party from behind his protective wall of adds. After the boss takes 10% of his total health in damage, or all the adds were killed, the boss would flee into the next room. Regardless of why the boss fled, the player was unable to pursue until all the adds were dead. However, as soon as all those adds were dead, another wave of adds would spawn in the next room and the sequence would repeat. Upon reaching the last room, two kinds of adds would spawn regularly. High HP and low DPS adds would spawn close to the boss (to continue to serve as a shield) while a larger number of low HP and high DPS adds spawned from the back of the room. If no character was engaging the boss in melee combat, he would launch damaging area of effect spells on the entire party. In melee combat, he was significantly less dangerous, and could be tanked fairly comfortably. This encounter forced players to pace themselves through the various stages. Ideally, the party would attempt to cause the boss to flee from each room by making him take 10% of damage in health. This made the final and most dangerous stage of the fight (where the high DPS adds were spawning) could be finished more quickly. This forced them to manage their resources throughout the first five rooms, but also be judicious in their target choice during that period. The final room forced the players to divide their attention between multiple threats - concentrate on the boss in order to end the encounter, make sure that the number of shield adds did not get out of hand, and quickly dispatch the groups of high DPS adds. One thing that is very important to note is that if the player was diligent and aware, it was possible for them to pick up information regarding the behaviour of the boss, the nature of his various adds, and that there were six rooms he considered his inner sanctum. As such, the player received knowledge in-game that gave them some indication of how the battle would play out. If we look at implementing different difficulty levels within this encounter, it is not straightforward. My first thought I was to decrease the boss' retreat percentage to 5%, but this is actually a very bad idea, as it limits the player's ability to use strategy to produce an advantage. This takes away the player's ability to use tactics rather than forcing them invent new ones, which is the opposite of the desired effect. The solution I ended up devising came about through the adds in the fight. In the preceding rooms, the moderate DPS/HP adds would be increasing replaced with high DPS/low HP adds. While this potentially results in a similar effect of reducing the boss' health flee percentage (because he flees once all the adds are dead) it forces the player to manage their strategy throughout these rooms. If they do not concentrate enough on the boss, the final room will be significantly harder, but if they do not kill the adds quickly, they might run low on health and healing resources for that final stage. In the last stage of the encounter, harder difficulties would change the spawn mechanics of the adds. Rather than simply spawning them every 20 seconds or so, the high HP/low DPS adds would spawn in large batches, and the low HP/high DPS adds would spawn frequently. This amplified the danger presented by each group and forced changes to the most common way to deal with them. Low HP/high DPS adds are prime material for crowd control (CC) spells or abilities - a whirlwind or fireball frequently can dispatch multiple such adds. However, if these adds spawn frequently enough that the player would run out of resources (mana/spells per day/whatever), then this forces the player to rethink their strategy. They potentially have to get a party member to kite or tank these adds and wait until they form a large enough group justify the use of such an ability. The high HP/low DPS adds do not present much of a threat in low numbers, which is why spawning them in a group makes the encounter more difficult. If the tank is unable to cope with the damage from the boss and these adds, they will die and the player will be overwhelmed. As such, the player will either need to dispatch part of the enemy group immediately to prevent that from happening, or attempt to wipe out the group as a whole using CC. Keeping in mind the potential tanking/kiting of the low HP/high DPS adds, the player would have to manage their timing so that they did not need to CC both the high HP and low HP groups at the same time. Again, the key here in changing this design was not to force the player to abandon tactics or force them to use on single tactic. Ultimately, it comes down to something that I always advocate for RPGs - giving the player choice. Taking the above example, players might try different options based on their party make up. If the party had a warrior, rogue, mage and cleric, they might proceed how I've described. However, a party with high burst damage (say, warrior, two mages and a mage/cleric) might attempt to simply focus all the fire on the boss in the hope of eliminating him quickly before cleaning up the adds. The designer can implement encounters such to force a particular strategy, but encounters that force the players to determine the best possible solution for their party makeup. Following on from my post regarding difficulty in RPGs based on the fact that they are not reflex based, I think it's time to take a look at some exceptions to this rule. The first example is The Witcher. The Witcher does rely on reflexes in order to succeed in combat at a very basic level. Combat revolves around "attack sequences" which you can "continue" provided that you click to attack at the right time during your current attack. This effectively enables the player to perform better provided that the master the click timing. Unfortunately, this is the limit of the complexity of the reflex element of the combat - it's a series of quick time events where you click the mouse button to attack at the right time. This simplicity meant that it added little, if anything, to the game. Second off the rank is Risen. This game has a click based system that also improves the player's performance with proper timing - press the attack button within the appropriate time window and the character will make another swing. However, as the character's (as opposed to the player's) skill improves, additional moves become possible. Counter attacks become possible (though again requiring timing), but the player can also defend, either by using a shield or by rolling out of the way. There is potential for this combat style to become tedious after many fights, but the variety of offensive and defensive moves available to the player means that they have choice in their approach. 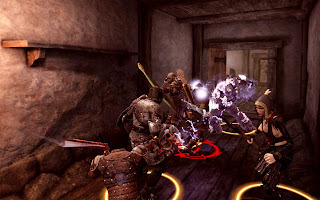 The player can choose to defend and wait for an opening to attack, or attempt to attack wildly and dispatch the enemy without giving them a chance to retaliate. Lastly, consider Mass Effect 2. This took the third person cover-based shooter mechanics popularised by games like Gears of War and adapted it to an RPG. Add in the choice of classes and companions (and the skills of each), and there's a significant amount of complexity in both the reflex and knowledge based aspects of the combat. In addition to this, the familiarity of many players with the shooter genre offers the potential to implement set pieces requiring specific strategies yet still remaining accessible to most of the player base. 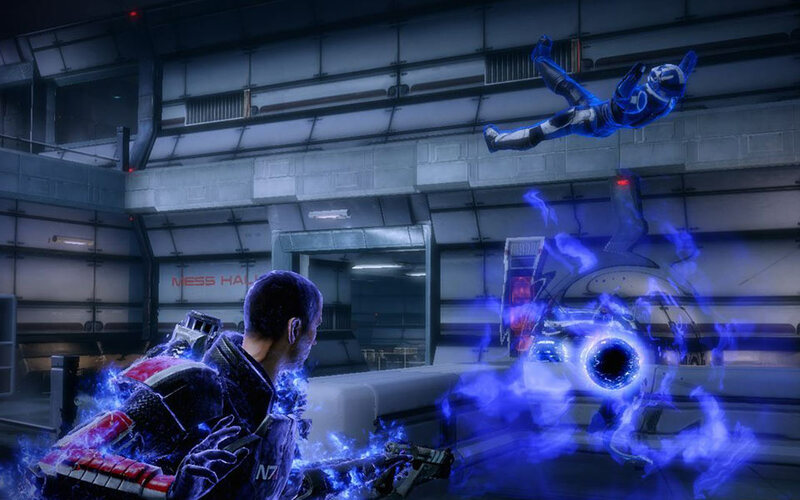 However, Mass Effect 2 does have shortcomings in its design. Particularly on higher difficulties, many enemies have protection (in the form of shields or armor) that render many skills useless until this protection is removed. Now while this is potentially a good thing in terms of forcing the player to implement different tactics on higher difficulties, the problem is that there are too many skills rendered ineffective against these protections. Worse, once enemies are unprotected, the damage required to finish them off is often quite low, meaning that those skills offer little benefit over simply shooting the target a couple of times with a gun. The key difficulty in implementing these mechanics in an RPG is striking a balance between the relative strength of reflexes and character build. If a player picks their character's skills poorly, then they should be expected to function with appreciably less power than a character who is optimised for combat. The Witcher relies on reflexes in order to function, but does not engage the player, and thus relies more on classic RPG approach of using the character's base skills to determine success. 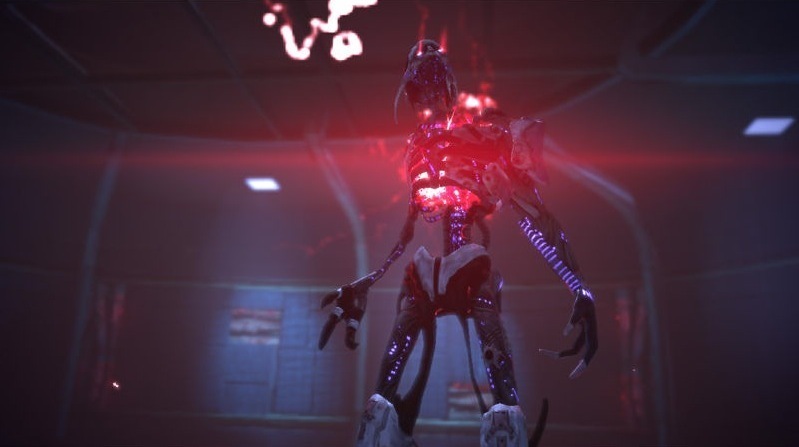 Mass Effect 2 handles this issue by having a limited range of skills for players to choose from within a class, making it very difficult to create a "bad" build, which is far more feasible in more complex rule systems. Risen appears to tread somewhat of a middle ground between the two, but still sits towards the side of lacking depth in possible character combat skills. Determining a happy medium between reflexes and character builds is still a work in progress for even leading game designers and companies. I'm looking forward to seeing how it is handled in the major RPG titles to be released this year. PS I've just finished the Dragon Age 2 demo on the PC (I wrote this post yesterday), and have to say that it goes a long way to introducing reflexes into Dragon Age. While the pause and play system is still possible, the changes in combat making the encounters a lot more active for the player. No longer do warriors and rogues spend lots of the fight doing very little except auto attacking. I have to say that from my perspective, the new combat is a welcome change over DAO by introducing a more active fighting style. As mentioned in my last post, RPGs frequently have to deal with difficulty in a different manner to many other games because of their mechanics. A significant portion of player skill is determined by knowledge rather than reflexes. Knowledge of how to build a character, knowledge of powerful skills and abilities, and knowledge of enemy weaknesses. 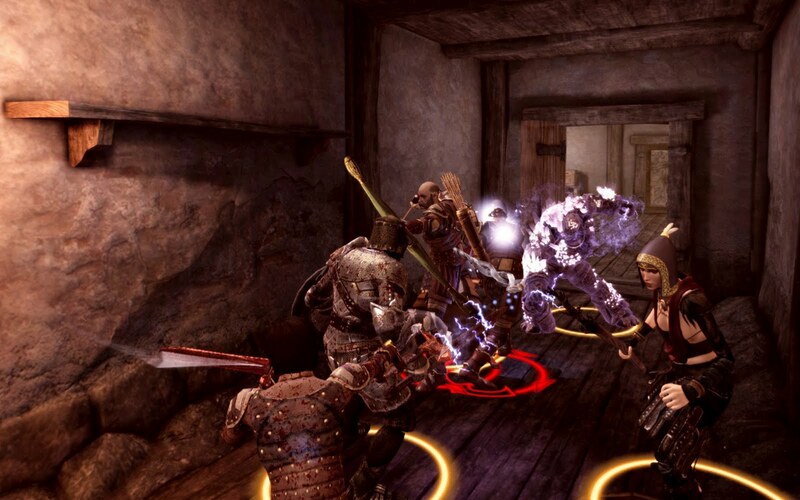 Furthermore, in games like Dragon Age, it is possible to pause the game, allowing the player time to plan their tactics in great detail and not have to be concerned with their reaction time at all. If a player is failing to succeed in a particular encounter, then a quick read of a guide or walkthrough will provide them with the necessary knowledge to prevail. Implementing the strategies within general does not require a high degree of skill or mastery of the game's controls, meaning that the player can "improve" and overcome any challenges without becoming overly frustrated, which could lead them it stop playing the game entirely. Now, in certain circumstances, this can actually improve the accessibility and playability of the game. MMO raiding relies fairly heavily on this type of setup for many guilds. 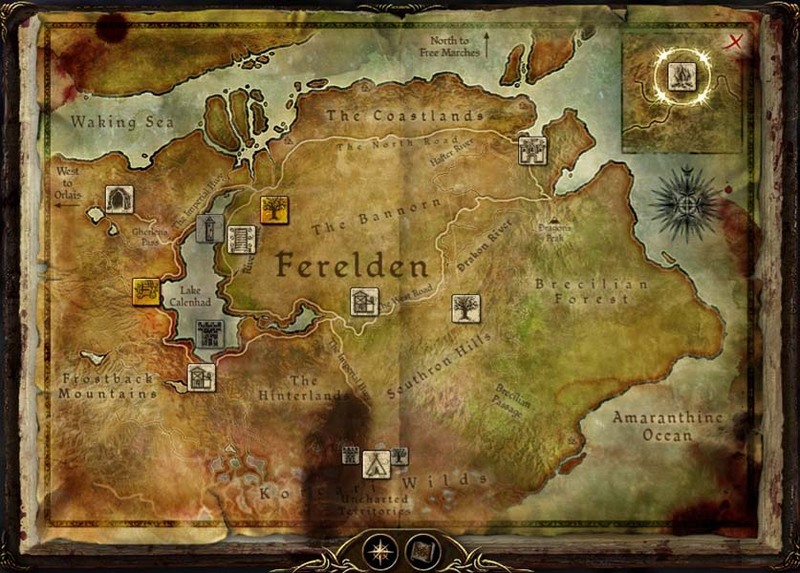 Once the leading guilds who break the new ground and work out the strategies for overcoming the encounters, this information is typically available from one or more websites, and then other guilds follow in their footsteps. A raid leader (or perhaps all members of the raid) will read about the encounter and the strategies required to defeat it, and then attempt the raid with an appropriate group possessing the relevant skills/gear. In this case, the ability to break down the tactics needed to succeed makes the game easier and more enjoyable for many players. Admittedly there is potentially some element of reaction and/or timing in MMO raiding, especially when compared to RPGs where you can pause, but even an MMO does still not require reflexes to the same extent as an FPS or fighting game. Despite having some advantages, there are drawbacks to RPG difficulty. For starters, it can be very hard to produce a "difficult" encounter for players truly wanting a challenge, as optimal character builds will often be able to breeze through the game without issue. This makes producing a challenging game for min/max players especially hard to do while still keeping the game accessible to the average or amateur player unless severe increases in difficulty are implemented. Further exacerbating this problems is that many RPGs rely on simple factors to increase difficulty, like multiplying enemy damage by 2 (or more). As discussed previously, this frequently does little to increase the challenge for the player in an enjoyable fashion, and sometimes fails to increase the challenge at all. Further compounding this issue is that guides frequently nullify any challenges faced by the player, removing any difficulty they might face. 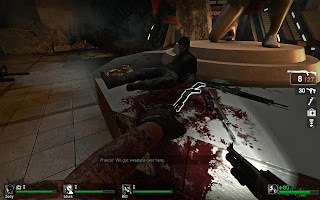 In an FPS, even being told explicitly where enemies are does not necessarily help if the player does not have the skill to line up a shot and kill those enemies before they do the same to the player. In an RPG it is potentially possible to "bypass" a challenge without learning the necessary skills that obstacle was trying to introduce to the player. Because the player has followed instructions to get past a challenge, it is possible that they have not learned from that event, and thus may get frustrated again if a similar circumstance arises again in the future. Of course, the player can theoretically just refer to their guide again, but if a player is constantly following a guide in order to succeed, it is likely that they are having less fun than if they were just able to work it out for themselves. So when designing encounters for RPGs, it is vital that you consider the possible power level of the player's characters. Furthermore, when dealing with encounters that require specific player knowledge or require them to implement specific tactics, provide hints or resources to the player to allow them to not run into the fight blind. If a thorough player could find out that a particular enemy is vulnerable to fire, then this rewards the player who goes to the effort to find that out... though ideally they would find information from the game rather than the Internet. Breadth of choice and a constant baseline of power are at opposite ends of the scale when dealing with RPG encounter difficulty. But if dealing with a game that features absolutely no dependency upon reactions, then a character build and player tactics are the only means by which to differentiate the skill level of players. When dealing with game difficulty, the RPG tends to be somewhat of a "special case" compared to many other games. In most games, much of the skill of the game and the prowess of the players comes as a result of their reaction time and finesse in using the game's control system in order to succeed. In an FPS, a better player is quicker at aiming and getting a headshot. In an RTS, much of the game revolves around the player's ability to micromanage their units in battle and multitask building, expanding and attacking. 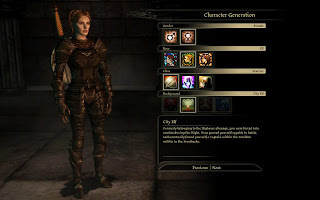 In an RPG, the player's choice of skills play a very significant part in their combat effectiveness, and doubly so when it is not possible to change these choices part way through the game. In effect a significant portion of their skill level is determined by their ability to calculate how to maximse their character's effectiveness, typically by maximising their DPS - Damage Per Second. This isn't to say that player skill doesn't play some factor in determining skill level, and in MMOs there are definitely players who excel at PvP (Player vs Player) combat which requires the ability to quickly adapt to the actions of the enemy and counter them. This is somewhat different to the mostly ordered experience from PvE (Player vs Environment) raids, where the player (or group of players) must use their skills to deal with a series of scripted encounters where the computer controlled enemies behave mostly the same each time. Another key issue is that even though there may be some skill involved in playing RPGs, this is somewhat undermined by the fact that RPGs feature a levelling system that means that lower level characters are always weaker than higher level characters. After playing for long enough, the player's character grows in power by levelling up, getting access to new skills and abilities that can eventually combine in order to help them prevail in situations that they could not hope to succeed previously. Thus the increase in the player's power comes as a result of perseverance rather than an increased level of skill of mastery of the game's controls. The player is given a sense of achievement and increased sense of power and prowess, despite the fact that their skill level in terms of handling the game's controls and understanding its mechanics may not have increased at all. There is a false sense of reward in that the player is given increased power through their levelled up character, when all they have done to achieve that increased power is simply to persevere with playing the game. 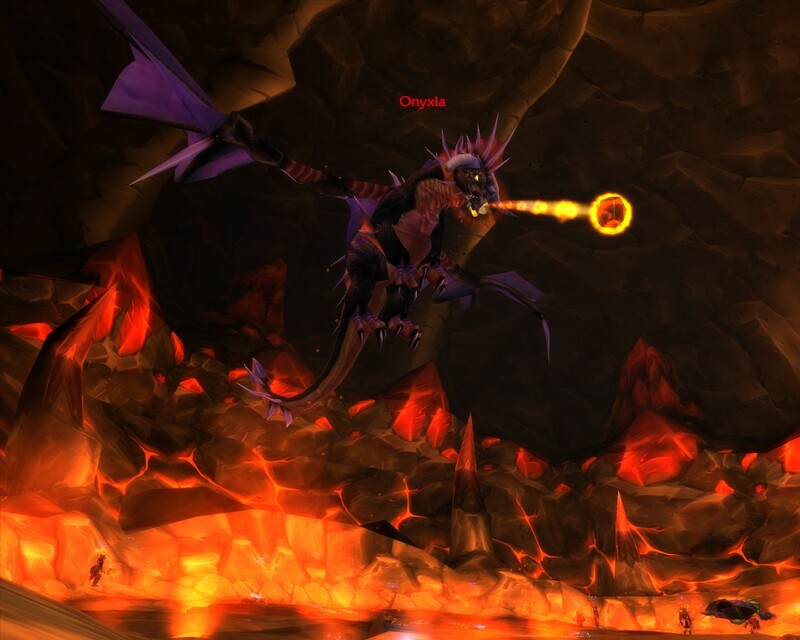 Even the most skilled player in the world cannot defeat Onyxia at level 1... or even level 30. A significant number of RPGs don't require a large amount of active player skill in order for the player to prevail. Knowing which mechanics provide an overwhelming advantage or which abilities combine to deal significant blows to the enemy is much of the differentiation between player skill levels. Games with turn-based or semi-turn-based mechanics are still popular, although they have been slowly losing ground to real-time games for many years. Big name turn-based strategy games are sparse when compared to their real-time counterparts, and the closest you'll see to a turn-based first person shooter is VATS in Fallout 3/New Vegas. However, this having a calculation/knowledge-centric difficulty is not necessarily a "bad" thing, but it is definitely something that people involved in dealing with the difficulty of RPGs must bear in mind. Many RPG fans like that their success in the game is not determined by the speed of their reactions, but how they can utilise the skills they have in order to succeed, using tactics to identify the weaknesses in enemies and how to use the powerful abilities at their disposal to overcome challenges. The potential problem for the designer is that the player can increase their skill level through reading a guide rather than the practice of playing the game. After having discussed the grave shortcomings of rubberband AI in driving games, it's important to look at a game that does not only gets difficulty levels right, but also combines static and dynamic difficulty. For that, let's look at the Left 4 Dead games. These games are having an excellent difficult grading to allow for a wide variety of player skill levels, and then also make the difficulty match the overall atmosphere of the game. In case you've been living under a rock, for the past couple of years, the premise behind Left 4 Dead is that you are part of a group of four survivors of a zombie apocalypse. You have to make your way through hordes of zombies to an evacuation point where the military can rescue you. As you progress, you facing varying challenges, dispatching hordes of regular zombies, as well as facing off against zombies with unique powers that can temporarily incapacitate you (temporary provided your teammates save you! ), have you swamped by regular zombies, or simply are the zombie equivalent of The Incredible Hulk. In terms of difficulty, the player(s) select a base difficulty level as a rough measure of their skill. This determines basic things like the weapons given to the players and the amount of damage the zombies do per hit, the frequency with which "special" zombies appear and such things as mentioned in my second post in this series. However, where Left 4 Dead really comes into its own is how it dynamically adjusts the difficulty based on the performance of the players using its "AI director". If the players are getting through the game far too comfortably, the director will increase the challenge of the game slightly. Throwing more regular zombies at the player, or perhaps an additional special zombie that might incapacitate a player at an inopportune moment. The aim here is not to kill off a party member, but merely increase the level of danger if the players are comfortably surviving the zombie apocalypse with seemingly no effort. This can also occur if the players dawdle in a particular area for too long, which is used as a mechanic to make sure the players keep moving towards their destination rather than trying to exhaustively search everywhere in a level. Conversely, if the players are struggling and one or two of them have been killed, the director may ease up slightly, potentially placing some painkillers (which provide health) nearby. The game also offers the ability to "find" survivors so the dead players can rejoin the group. This is typically quite a challenge, but successfully rescuing one or more team members and salvaging the team from complete annihilation provides a great sense of achievement when it occurs. The reason Left 4 Dead's difficulty is so success is that it helps to reinforce the game's setting and atmosphere. The game relies heavily on teamwork and cooperation, and with the difficulty such that even highly skilled players will have great difficulty completing the game on the hardest difficulty should they try to play lone wolf. 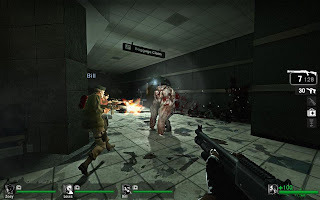 The game ensures that the levels are never a complete cakewalk for the players, as this would defeat the atmosphere portrated by the game and its never-ending zombie hordes. Even should a very skilled player start on the easiest difficulty, the game will still pit them against zombies that require them to be alert. Herein lies the key difference between Left 4 Dead's dynamic difficulty the the dynamic difficulty of rubberband AI in racing games: in Left 4 Dead, the increased difficulty can still be overcome or (partially) negated by player skill. An excellent FPS player will still be able to dispatch the extra zombie rush that the AI director throws at it, allowing them to maintain their advantage of having high health. However, not even the best driver can negate the increased difficulty posed by rubberband AI that makes the opposition cars drive at a speed beyond what is physically possible. Dynamic difficulty is by no means easy to implement well, but Left 4 Dead demonstrates how it can be done. However, its gameplay mechanics, setting, enemies and level design all strongly support the means used to implement that dynamic difficulty. Without this kind of consideration, implementing dynamic difficulty can be a difficult ask indeed. One way to combat the weaknesses of difficulty settings is to have the game dynamically adjust the challenge provided by the game. Dynamic difficulty scaling can sometimes be affected by difficulty levels, but at other times, it is purely the dynamic difficulty scaling used to keep the challenge "just right" for the player. I'd argue that perhaps one of the worst examples of dynamic difficulty that keeps getting used even though it is terrible in so ways is "rubberband" AI used in driving games. Just like any difficulty scaling, this dynamically changes the skill level of opponents to always give you a challenging race. The problem is that so often it either cheapens the experience by letting you win in ridiculous circumstances, or is incredibly frustrating by effectively allowing opponents to cheat. The reason that this design is so bad is that it prevents players from demonstrating mastery over their opponents or gain any real sense of progression of skill. In any racing game it is potentially possible crash out and end up a long way behind. In a normal situation, the race would be lost and the player would give up and restart, or resign themselves to a lower placing. This may result in some frustration, but when the player wins, they will feel a sense of achievement. However, with rubberband AI, they can have major crashes and fall far behind but still come back and win, then the penalty for their lack of still is effectively nullified. If there is no sense of challenge, the player will feel no real sense of achievement. However, worse still is the opposite case. 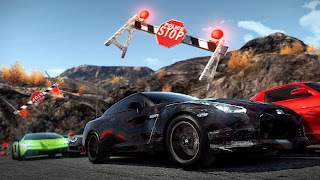 Take racing games with more of an arcade or "demolition derby" approach, where it is possible to knock opposing cars off the road or otherwise cause massive delays to their opponent. These manoeuvres typically take quite a bit of skill on the part of the player to ram the opposing car at the correct time. With rubberband AI, it's quite feasible that the huge lead gained from this risky behaviour will be completely nullified as the car is "sped up" to make the race "more exciting" for the player. In the worst cases (and unfortunately, this is how it is implemented in almost every modern racing game with rubberband AI), the game will actually allow the computer controlled cars to go faster than is physically possible for the car to travel in order for the "catch-up" to occur. Once again, this brings us back to the issue of AI cheating. Players don't like to be cheated. They especially don't like to be cheated when they've gone to a lot of effort to ensure they have an advantage over their opponents. Using dynamic difficulty to take away an advantage that the player has created for themselves through challenging and skilled play is almost guaranteed to frustrate and annoy them - they've put in a lot of effort to acquire it, so the designer should not nullify that effort unfairly. Dynamical difficulty runs a significant risk of doing this if not implemented well. When dealing with static difficulty levels, one key problem can often arise to annoy the player. This is the issue of the designer allowing the computer opponents to "cheat" at higher difficulty levels. Typically this occurs by giving them more resources or skill than is physically possible for them to have. Doubling resources for computer opponents in RTS games, doubling damage for enemies in RPGs, making enemies in FPS games not miss or always pull off headshots, etc, etc, are all means of doing this. Now these can serve a purpose to a degree, particularly where it is not possible for a computer to replicate the complexity of tactics which players can explore and develop. However, difficulty implemented in this manner frequently results in player finding and exploiting the weaknesses that these cheats are designed to compensate for. The Thief series of games implemented something quite unusual in its difficulty levels. 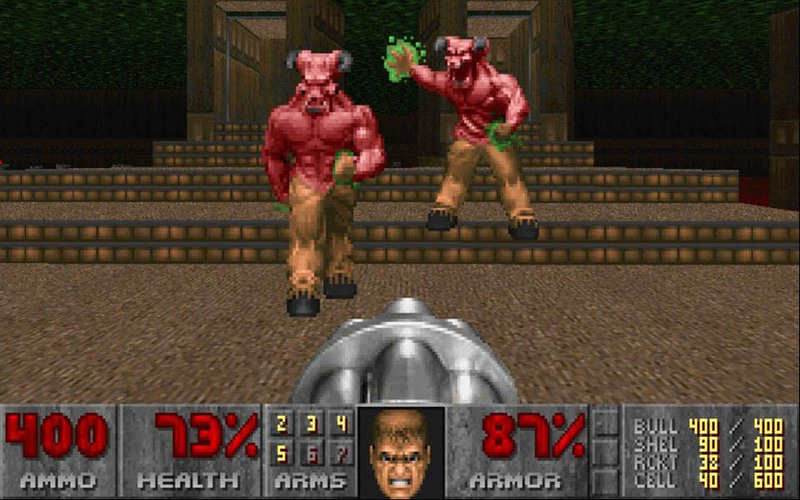 Not only did it change basic things like the amount of health of the player and the number of enemies, but the game actually imposed gameplay restrictions or requirements upon the player. These restrictions varied: the player could not kill anyone, an alarm could not be raised, certain items had to be stolen, a minimum value of loot had to be stolen, a rescue had to be effected, and so on. The fantastic value of this that the difficulty is not increased by some arbitrary value that merely allows the player to continue with previous tactics but just "do them better". It forces the player to adopt an entirely different playstyle, simply by changing the parameters under which they must operate instead of the numbers involved in the game's mechanics. Amateur footpad or master thief? You decide. Now, it could be argued that these two aspects are remarkably similar, in both cases the player must change their tactics in order to succeed. But in one case the player is forced to find the weaknesses the game is attempt to compensate for, whereas in the other they are forced to change their playstyle to meet new restrictions imposed upon them. The key difference is that in Thief, the player is not attempting to counter the unfair advantage given to the computer, they are attempting to achieve the more "successful" playstyle the game is asking them adopt. The player is being given direct agency to achieve rather than having to identify and manipulate the flaws in the computer controlled system that they are fighting. That said, if you're going to use this kind of difficulty setting, why not provide the player with the ability to control the "sliders" for the individual values that you are multiplying? For the advanced player that wants to customise the difficulty to match their skill setting, this would provide a good means to provide them with an appropriate challenge. Maybe on "Hard" you give the computer twice as many resources, but the player loses every time to this situation. Why not give the ability to start a game with a custom difficulty, where the computer receives 1.5 (or 1.3 or even 1.65) times as many resources. This not only allows greater transparency of the "cheat" (because it's not necessarily nice to hoodwink your players), but also gives them the power to create an experience matching the difficulty of their liking. This isn't something that's particularly easy for a modder to achieve, but for a game in development, it offers much finer (potential) control over the game's difficulty. Of course, the game should still come with its preset difficulties, but instead allow the player to take great control over it if they so desire. DAO: dozens of sliders for facial creation, but only four choices for game difficulty. Another thing that might seem trivial to consider, but that can make a significant difference to players is what you call your difficulty levels. Many players have a sense of personal pride and do not want to play on "easy" or "casual" difficulty level. If a game's lowest difficulty is called "normal" then players typically don't feel bad at playing on "normal" difficulty, even if it is the lowest difficult level. I have read numerous posts of players complaining about games being too challenging, yet refusing to play on anything below "normal" because they "were too good" to play a game on "easy". The same sometimes also occurs for the highest difficulty levels, but on that end of the scale you're typically dealing with players who are seeking a very high challenge (and thus should be able to cope with it) or gamers who are simply looking for achievements (in which case you as the designer shouldn't be forced to cater to them). People complaining that "insanity" is too hard... well, you can be fairly safe in telling them that if they want the accolade of winning on that setting, they need to work at it. The simplest means to implement varying difficult in a game is to use a "difficulty level". Take the example of Doom. Upon starting the game, you pick how hard you want the game to be, and based on this difficulty several factors are be changed. At higher difficulties, there were more enemies, and often more difficult enemies placed in levels. Some health pickups would be missing at higher levels, and potentially even weapons. At lower difficulties it was even possible for some areas of a level to be avoided, by giving players access to the end of the level through a keycard in a more easily accessible location. In more generic terms, the amount of support that the player receives (whether health, weaponry, allies, ammunition or whatever else might help them prevail) might be higher on easier difficulty levels, and reduced on higher ones. The amount of damage that a player takes might vary according with difficulty, as might the amount of damage that can be taken by enemies. The intelligence of enemies might change, and their numbers could increase with higher difficulties. 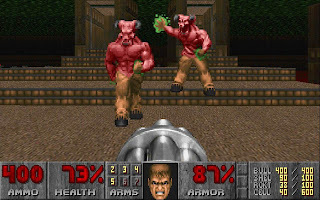 In Doom the difficulty was chosen at the start of the game (technically at the start of each episode) and that determined the difficulty for the entire episode. If the player reached a point where the game was too difficult for them, they potentially had no recourse except to start from the beginning. Hardly desirable if they've played the game for numerous hours. Thus many modern games allow the player to change the difficulty part way through the game. This means that typically difficulty modifies the behaviour or strength of enemies rather than their number. It is also hard in this case to reduce resources given to the player, as you can't very well just make resources vanish into thin air if the player changes the difficulty up, or make them magically appear if the difficulty goes down. That said, it might be possible to adjust the effect of each acquired resource - each ammo clip might give half (or twice) as much ammunition to the player dependent on the difficulty level. It is potentially possible to adjust the number of enemies dynamically if enemies are created ahead of the player out of sight. 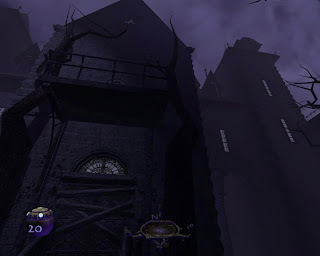 In this situation, the number and type of enemy are created according to the current difficulty level, before the player prior to the player reaching a location with visibility of that area. In the simplest situation, that might mean upon started a new level, but in some cases, enemies can be "spawned" as the player reaches a choke point before the next encounter. This may not be possible depending upon the type of game (and its level design), but this could result in the difficulty adjusting as soon as the player reaches the next "encounter" area. For example, a player traveling through a valley reaches a pass that leads to the site of the the enemy camp. While in the pass, the player has no visibility of the camp, and at this moment the enemies are spawned at the camp depending on the current difficulty level. As an added step, it might also be possible to have an autosave point before the enemies are generated, thus giving the player the option to decrease the challenge of the encounter should they need. These are typically the most basic means to implement difficulty in games: make the enemies tougher, and make more of them. The problem is that this doesn't necessarily make for the game actually being more interesting, and in some cases serves to destroy the reality created by the game. Case in point here are the "Juggernauts" in Modern Warfare 2's Spec Ops missions. Enemies that can take multiple headshots from a sniper rifle simply have no place in the reality of a modern "realistic" FPS game. 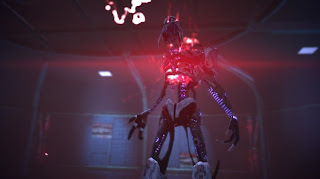 Increasing the health of enemies in action RPGs (Diablo and its clones) frequently does little to increase the difficulty of the game, also see the original Mass Effect for a demonstration of this point. Giving enemies more health simply made them take longer to kill rather than actually increasing the challenge for the player. So having discussed basic elements of modifying a game's difficulty, in the next post I'll discuss alternatives and issues relating to these difficulty levels.